Review door Paul Roberts, Geplaatst op 24-01-2019, 4 Ster(ren). Positives: Good Explanation of Anatomic Terms of Motion. Includes discussion of some of the most famous muscle tests. While the Author (or MET) didn’t invent these tests, it’s helpful to have them listed. Overall: The book is pretty decent, and many of the methods are fundamental principles that any physical therapist should know. It’s well illustrated and concise. While it’s not exhaustive in its scope, many of the stretches are good, and the level of detail sufficient for many of the exercises demonstrated. Muscle energy techniques (METs) are a tool for physical therapists to strengthen patients' weak muscles, restore normal muscle tone, increase joint mobility, and improve circulation, musculoskeletal function, and overall well-being. First developed in 1948 by American osteopath Fred Mitchell, METs offer a valuable approach for practitioners of physiotherapy, sports therapy, osteopathy, chiropractic, yoga, and Pilates. METs are unique in their application: rather than the therapist initiating the effort, the patient contracts specific muscles against a resistance applied by the therapist, who is simply guiding the exertion in a controlled position and direction. While METs have been in practice for decades, the theory behind them is often misunderstood and the possibilities for their application overlooked. 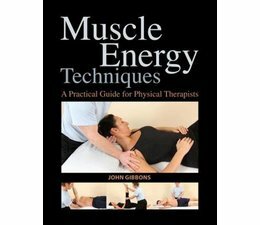 Muscle Energy Techniques is the first affordable, accessible guide to METs for students and practitioners of all levels. 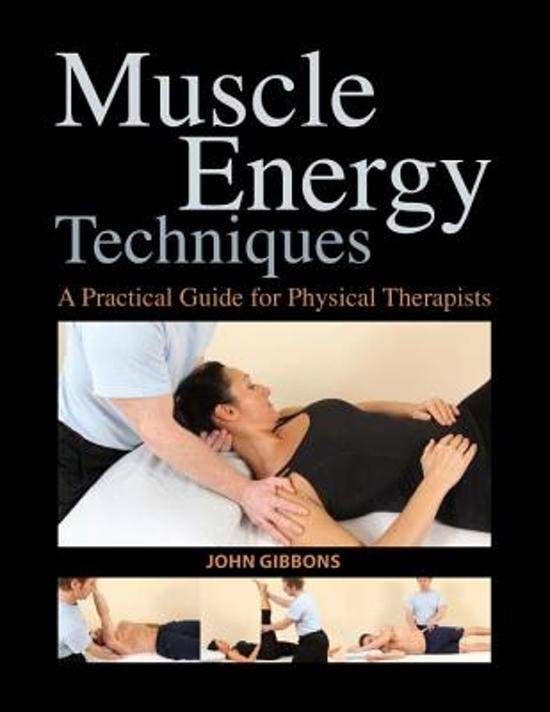 Author John Gibbons walks readers through the assessment testing of chronically tight muscles and shows how to apply a specific MET to correct dysfunctional muscles and restore normality. Easy-to-follow postural muscle tables and 160 full-color photographs and illustrations aid practitioners in monitoring the progress of patients and provide students with the underpinning knowledge of the specific anatomy. The principles described can be incorporated quickly and effectively into a treatment plan and used to assist in the rehabilitation of anyone who is recovering from an injury.